Here is an antique lace trim with a repeating art deco open circles and wheels pattern. 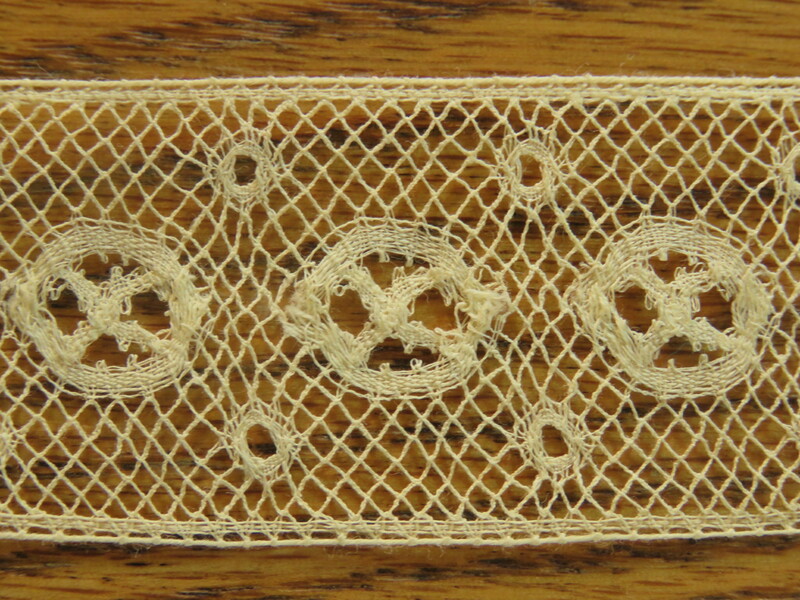 This is a antique insertion lace trim with a straight edge at the top & bottom of the lace. Antique Lace Trim Measurement: 3 yards plus" x 1 1/8"
I have 2 cut pieces available for sale.